Canada 2020 is proud to host the Global Progress 2017 Summit from September 15 to 17, 2017 in Montreal, Quebec. Hosted in partnership with the Centre for American Progress, Policy Network and Volta, the Global Progress Summit is an annual gathering of progressive organizations, think-tanks, and thought-leaders from around the world to meet and discuss best-practices in progressive governance. Follow along the conference outputs using #GlobalProgress2017. 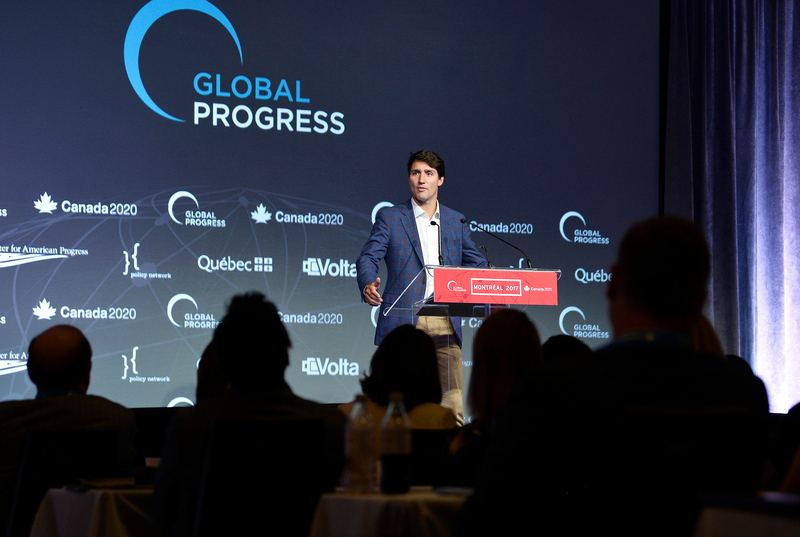 This is the second year that Canada 2020 has hosted the Global Progress Summit in Montreal. Global Progress is an international network of progressive organizations, thinkers and leaders, initiated by the Center for American Progress. Over the course of the last decade, Global Progress has hosted summits across the globe including in Copenhagen, Berlin, New York City, London, Madrid, Rome and Santiago. This year’s themes include discussions on shared prosperity, the future of work, renovating democracy for the digital age, defending the liberal international order and tackling climate change. Through a series of speeches, panel discussions and breakout sessions, 200 progressives from across 20 countries will discuss the latest trends, ideas and best-practices in progressive governance. R. H. Justin Trudeau P.C. M.P.